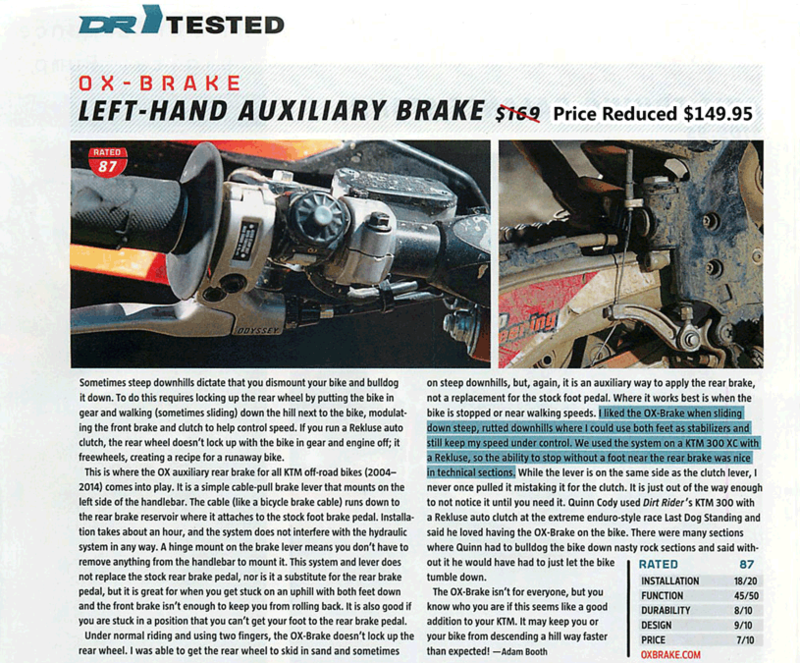 OX-BRAKE test by DirtRider in October 2014. 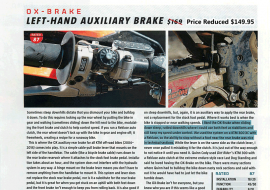 DirtRider tested the OX-BRAKE and gave it a 87 point rating. Pretty good we thought. The only minus was that they didn’t like the price so much so we’ve lowered the price from $169.00 to $149.95 based on the feedback we received. Take a look at the review here.